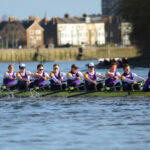 The University of London takes 36 crews to this weekend’s BUCS Regatta, looking to improve upon the eight Gold Medals won last year and add Gold in the Men’s & Women’s Championship Eights. ULBC will aim to defend the Men’s & Women’s Championship Quads and the Men’s & Women’s Championship Coxed four titles won in 2017. And after taking victory in both Men’s & Women’s Championship Eights at BUCS Head in February UL will seek to add the BUCS Regatta titles in these events. UL will have a 1st, 2nd and 3rd Eight for both Men and Women racing and are the only university to boat a 3rd Women’s Eight. 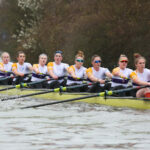 Last year UL had to settle for second behind Oxford Brookes University in the race for the Overall Points Trophy (VL) but won the Women’s Team Trophy for a second year in a row and will be a looking to make it three years in a row with the strong team travelling to Nottingham. BUCS Regatta takes place off the back of last month’s GB Trials, which saw success for ULBC across multiple disciplines. Highlights included overall victory for UL’s Emily Craig in the Lightweight Women’s 1x and UL athletes coming away as the fastest U23 Men’s Pair and forming part of the fastest U23 Women’s Pair.